Dixons offer for sale this lovely two bedroom end of terrace property in the Stoke hill area of Coventry which is being sold with NO ONWARD CHAIN. Set in a quiet cul-de-sac and offering huge potential this property would make an ideal first time buy. The full accommodation comprises to the ground floor an entrance porch, spacious open plan lounge, and a full width kitchen diner with breakfast bar. The first floor boasts two good size bedrooms and a family bathroom. 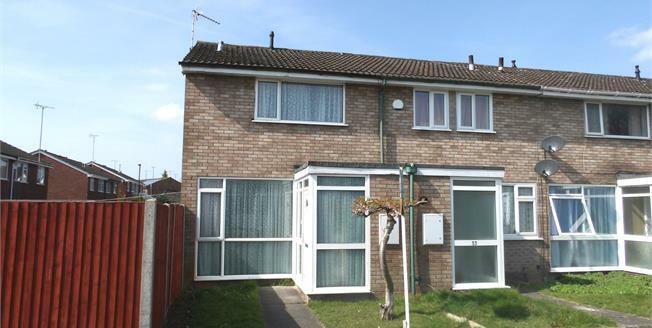 Outside you have easy maintainable front & rear gardens and a detached brick built garage. The property also benefits from UPVC double glazing and gas central heating via a Valliant combi boiler. This property truly must be viewed internally to appreciate its full potential so call the office on 02476634222 to arrange a viewing.